Real estate licenses are managed by the Michigan Department of Labor & Economic Growth (DLEG). The department has placed real estate licensing on a three year cycle, with all license set to expire on October 31, 2009, and every 3 years after. A Michigan real estate license must be renewed before the October 31st date, else the license will be set to an expired status. The DLEG has a online continuing education online monitoring system called iCOLA that assists salespersons and brokers with meeting the required yearly CE credits. Real estate schools are to submit a student's course hours withing 5 days of course completion. The iCOLA system has an online completed credits verification system for licensees to review their required continuing education progress. The required course hours can be completed online from a school approved by the Michigan Department of Labor & Economic Growth. Our Michigan real estate continuing education training courses are offered in conjunction with 360 Training (approved provider #132). 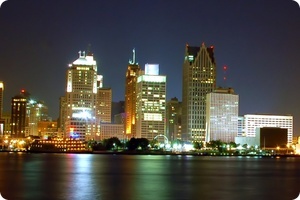 This module covers Michigan's real estate license law and regulatory information. In particular it will look at the state occupational code and general rules of the Occupational Board. Additionally, it will delve into regulatory acts such as the Seller Disclosure Act and inspection issues. In addition, this course includes a final practice lesson. This concluding lesson presents real-world dilemmas and concrete applications of the information presented in the rest of the module. As the student completes this course, he or she should try to develop a broad picture of license law and regulation and how they fit into the larger practice of real estate. The last lesson will help with this project by presenting updates and case studies.